Next time you see a NASCAR® race on TV or in person, I hope you see a sport that is not only competitive and fun – but also upholding American values. Some may question how the owner of a NASCAR® racing team can promote air quality with a straight face. After all, for years, my business has been burning rubber and racing fuel in front of massive crowds that leave a lot of litter behind. But times are changing. And the sport of NASCAR, including my team, Richard Childress Racing, has changed with them. Today, we’re deeply involved in efforts to make our sport more environmentally friendly – from recycling motor fluids, to reducing carbon emissions from our racing fuel, to using alternative power sources – all under the NASCAR Green™ umbrella. I do all this because I’m a conservationist who wants to see his grandkids grow up with clean air, clean water and green spaces. And one of the efforts that I’m most proud of is the introduction of American ethanol to racing as a means of cutting our emissions with a clean, renewable alternative fuel. Today’s ethanol industry probably doesn’t look anything like most people imagine. It’s not a guy in a seed cap with a pot still in the machine shed. Those days are long gone. Instead, today’s ethanol producers are investing hundreds of millions of dollars in cutting-edge technology, biosciences, precision farming and smarter engineering. Today’s ethanol is made in a plant that has cut water usage and has cut its reliance on fossil fuels by capturing heat in the plant, or using power from wind, methane and other renewable sources. Between better farming practices and advances at the plant, today’s ethanol producers are able to reduce emissions compared to gasoline by nearly 60 percent. Producing ethanol also adds jobs right here in the United States. In NASCAR®, we are using Sunoco Green E15, a blend of 15 percent ethanol and 85 percent gasoline. Last year, the U.S. Environmental Protection Agency approved E15 for all vehicles built in the past decade, which is more than 80 percent of the cars and trucks on the roads today. I like to think that if E15 is good enough for my racing team, it’s certainly good enough for everyday street cars. In fact, NASCAR® has just surpassed 3 million miles of driving – in practice, qualifying and racing laps – on Sunoco Green E15, without a hitch, in what can only be described as a seamless transition. Plus, we’ve also seen enhanced performance. In fact, many of the teams have reported an increase in horsepower. In my mind, this proves that E15 is a viable alternative to regular gasoline. One of the things that many people don’t know about ethanol is that it is 113-octane, and has been in our fuel mix since Henry Ford built the first Model T. So ethanol not only offers us a clean, renewable alternative to gasoline from foreign oil, it also offers us more horsepower and better efficiency in today’s high-compression engines with clean octane. By pumping E15, we are reducing not only carbon emissions, but we are also reducing lots of other toxins that would otherwise be pumped out the exhaust. Those toxins don’t only degrade our health, but also the streams, lakes and forests where I and my family like to fish and hunt. Next time you see a NASCAR® race on TV or in person, I hope you see a sport that is not only competitive and fun – but also upholding American values. Among those values, I include conservation of our soil, air and water, for our health today and for the health of our kids and grandkids in the future. 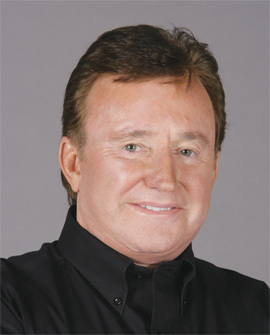 Richard Childress is owner of Richard Childress Racing. This opinion piece first appeared in the Birmingham (Ala.) News.